Unless you’ve been living under rock on Mars for the past decade, you know about Crowdfunding on the internet. With every passing year, more and more small businesses are fundraising online; pitching their products to potential customers. The amount collected in crowdfunding campaigns annually now totals in the billions of dollars. 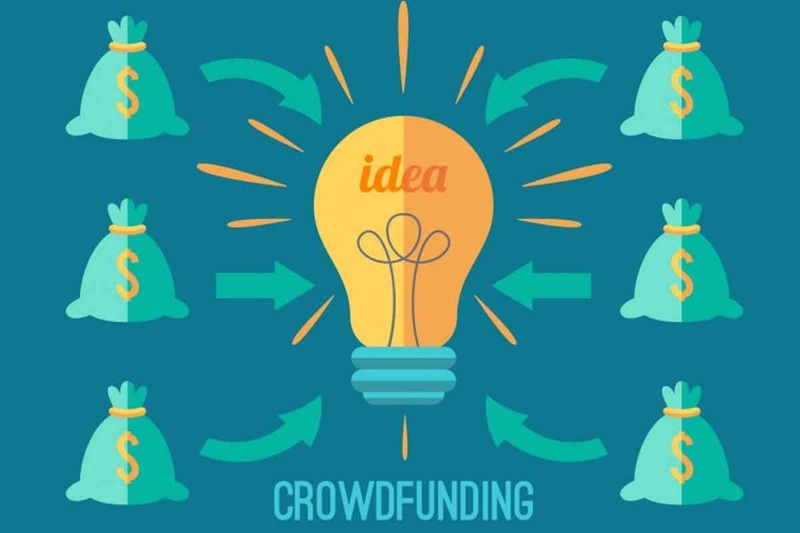 But if you are new to this world, you might be bewildered by the increasing number of websites that provide Crowdfunding services of various kinds. How do you find one that is appropriate for you? If you’re an artist or a musician, your target audience and sales pitch will be much different from a tech startup that is about to introduce the latest app or gadget. Your requirements will differ yet again if you are a small business looking to sell ownership shares of your business to potential investors. There are two basic models that crowdfunding websites can be categorized into. Donation/reward based websites are the basic model for the majority of crowdfunding. Artists, entrepreneurs and inventors pitch potential products, services or ideas to large numbers of interested investors. Since these are collaborative projects the investors are usually rewarded through the product itself or additional rewards and perks. Investment crowdfunding, also known as equity crowdfunding, is a much more recent method of crowdfunding. This is simply a transposition of more traditional forms of investment where a company sells ownership stakes in order to secure funding. Instead of products, investors expect financial returns in the form of profits. Though the crowdfunding sites listed below are far from exhaustive, they are example of both types of crowdfunding models mentioned above. One of the earlier examples of crowdfunding platforms, it is also one of the most popular and diverse. Here creative projects varying from music albums and children’s toys to board games and smart watches can be funded through small donations. Large donations are rewarded through perks. Another donation/reward based website, it does not discriminate between projects as kickstarter does. It therefore host a much larger variety of potential projects such as charities and other non-business projects. Their more open approach has gained them a lot of clients internationally. Crowdfunder.com is one of the most prominent and fastest growing investment-based crowdfunding platforms. It offers equity crowdfunding from accredited investors, angels and venture capitalists but not ordinary citizens. A traditional business looking for formal seed money is will find it suitable. RocketHub is another prominent rewards based platform but what makes it unique is its LaunchPad and FuelPad programs that help marketing professionals and startup entrepreneurs to network and collaborate for successful crowdfunding campaigns. This is an investment based funding platform. Small businesses are offered loans if they are qualified and have existing revenue and operations. The site has collaborated with various banks to offer loans as well as with the business owners’ family and friends for funds. The platform is now successfully expanding to various cities in the U.S.A. The above 5 sites encompass most types of crowdfunding campaigns and business requirements. Explore them at your leisure and see if they offer anything that your business might need. Previous articleChanging Tastes: How Society, Evolution and History Shape our Personality.